My parents have been married for over 40 years and they're still very happy together. But my mother once confessed to me that she fears she married my father under false pretenses. It started like this. When she was a sophomore in college my mother took a train to visit her older brother at seminary in Chicago. Her brother didn't have a car, so he asked his buddy to take him to go pick up his sister at Union Station. From there my parents' relationship progressed mainly through letters. My father, a graduate student in his mid-twenties, enjoyed chess and philosophical debates. My mother, still at that time a teenager, wanted to impress him. So she worked hard on her letters and studied up on her philosophy. But considering the nature of things - Do universals exist, or only singular things? - is not a true interest of my mother's. 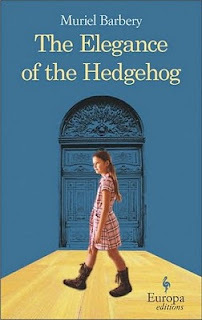 Fast forward, then, to last year when a woman in my book club began reading Muriel Barbery's The Elegance of the Hedgehog. She enjoyed the novel very much and felt inspired to tackle several classics she'd missed along the way, including Anna Karenina. This caught my interest, because I was - and still am - reading Jack Murnighan's Beowulf at the Beach: What to love and What to Skip in Literature's 50 Greatest Hits. I too have been inspired to go back and pick up a few classics for fun. "If you were to read them in quick succession, paying attention mostly to the plot (and nodding off now and then mid-sentence), you might not be able to tell Madame Bovary and Anna Karenina apart." Enthusiasm for tackling Tolstoy: dashed. This is a very good novel, and an enjoyable read. Especially if you enjoy philosophy. I'm hesitant to talk too much about the language and writing, because I'm reading an English translation (the original is in French). And, frankly, I'm more like my mother in this way than I am like my father: lengthy philosophical debates are not my thing. I realize I've been sort of skimming for a few paragraphs, waiting for the plot to pick up again. Then I force myself to go back, reread slowly, and pay attention. "Oh, you're reading The Elegance of the Hedgehog," my mother observed. "I did not enjoy that book. Too much philosophical pondering for me." "I enjoyed it," my father replied mildly. "For pretty much the exact reasons your mother did not." Barbery does not talk down to children, and she really gets that kids can understand a lot more than we give them credit for. I found 12-year-old Paloma pretty believable. In Beowulf at the Beach, on the other hand, Murnighan repeatedly insists that we ruin literature for people by forcing it onto high school kids who can't possibly understand it. Au contraire. In high school I read a lot of philosophy (and classical novels, too: Dickens, Austen, the Brontes, and so forth) and I loved it all, even when I hated it. I did understand Kant and Machiavelli and Marx and Descartes and Plato. In fact, I read and understood and pondered and cared so much more then than I do now, when my mind is full of more pressing concerns like remembering to change the ceiling fans from their summer to winter settings. I'm no longer willing to work so hard to pull meaning from the text. 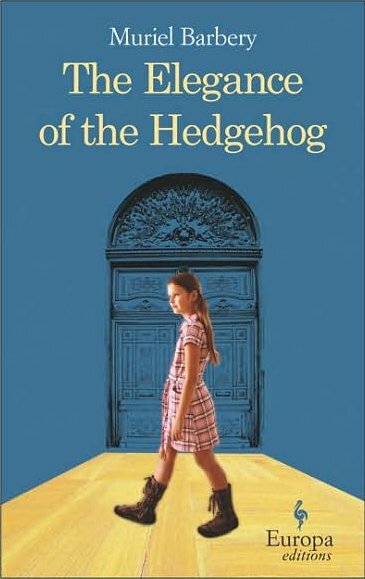 The Elegance of the Hedgehog is a novel about people who like discussing literature and philosophy. But even if you haven't read Tolstoy and don't enjoy pondering the existence of universality, it's still a good story. And it's a book about smart people hiding their intelligence to avoid notice but eventually recognizing each other and making connections despite the barriers imposed by class, station, age, and race. And that is the story I loved to read. that book sounds like it has a lot in its pages to think about. I'm trying to tackle Tolstoy's War and Peace this year. I've never read him. I read the Bronte's and Austen in Highschool too and loved them. I also fell in love with Shakespeare in Highschool. I first read Tolkien in grade school. So I agree, I think young children can learn a lot from the classics. Thanks for stopping by. I'm impressed that you're tackling War and Peace! I still mean to do that someday . . . I loved how you wove your family’s personal narrative into your review. I sampled the first 50 pages or so of this novel in a bookstore and quit. I bought a different book. Many others have loved it, especially grannies. Woody Allen has a very funny story in About Feathers about Madame Bovary stepping out of the pages of the book and expecting star treatment at the Plaza Hotel from the hapless reader. As a teen, I actually loved Anna Karenna but couldn’t make it through War and Peace or The Brothers Karamazov. Beowulf on the Beach sounds intriguing. Great review!